It’s time to open your hearts and homes for these four legged wonders! 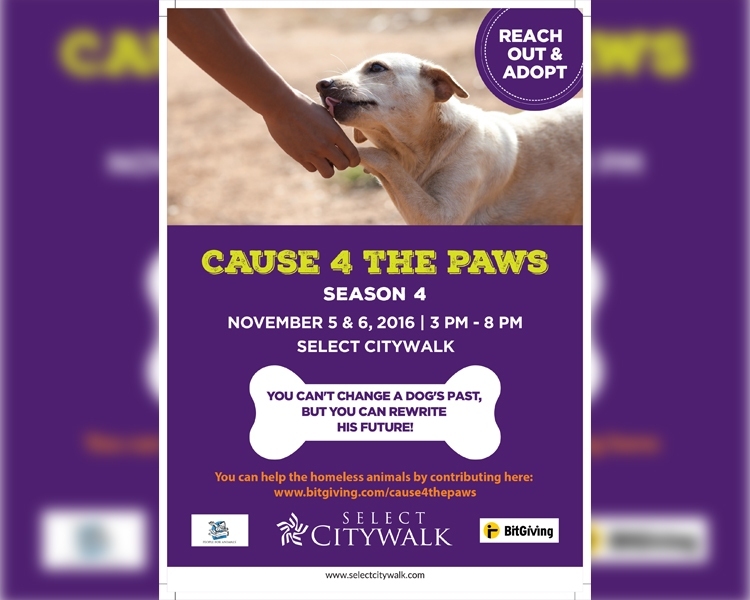 Join us on the 5th and 6th of November at Select CITYWALK and further our Cause 4 The Paws! Go ahead and make your life truly paw-some with oodles of unconditional love!